On our visit to Calke Abbey, as we were making our way up the hill to the walled gardens, I spied a sign…… to the church. Fantastic….. an added bonus. We had yet to see the house as during the week-end the entrance to the house is by timed admissions only and we had an hour to fill. Through the woods away from the gardens is the small church of St Giles, the earliest reference to a church on this site is in 1129 when it was seized from Calke Priory by the Abbot of Cheshire…..he had to give it back in the end. 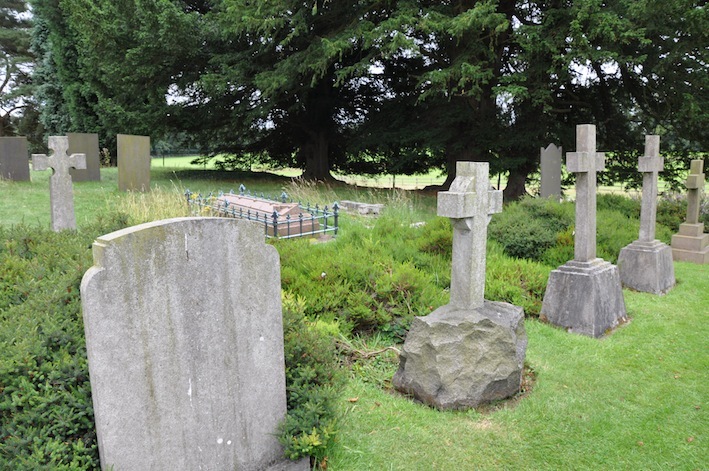 The interesting fact is that Calke Abbey was a Priory and never an Abbey……maybe we will find out when we visit the house as to how this name came about. 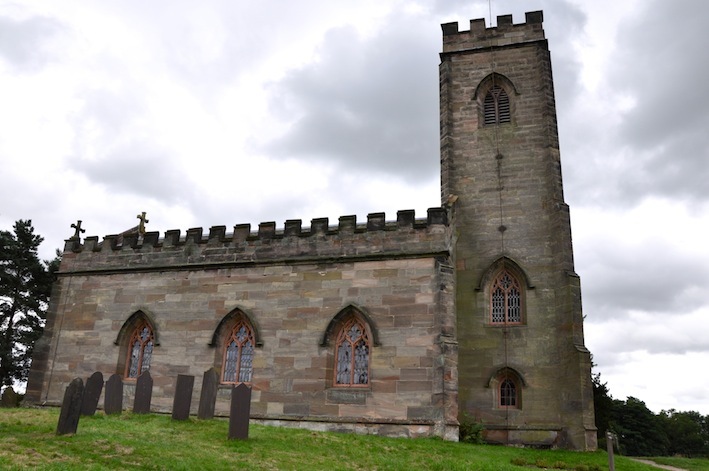 The church and the village of Calke was founded just before 1100 by Harold de Leke and then given to his new foundation of Calke Priory. This was one of the first Augustinian houses in England. 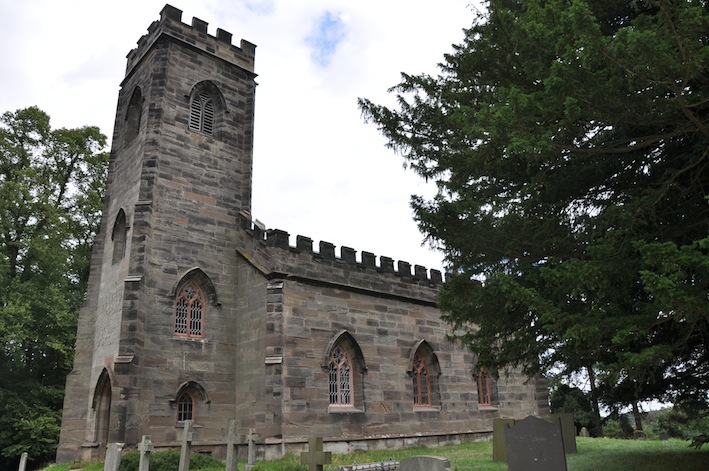 St Giles was the parish church of Calke from 1160 until 1834. 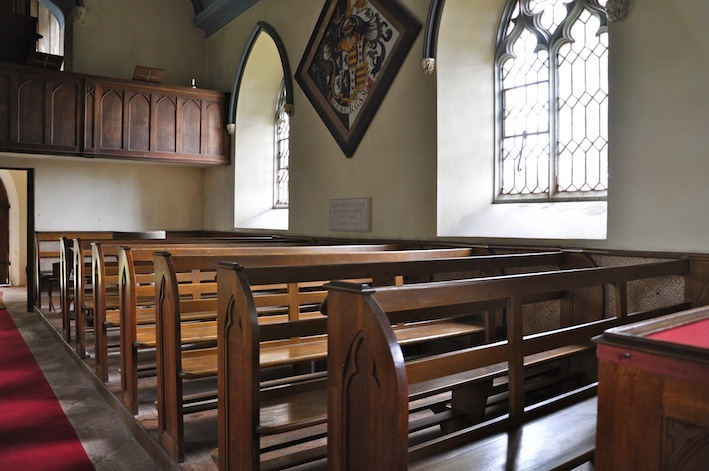 It is now a private manorial chapel, owned by the National Trust along with Calke Abbey, yet it is still a consecrated church, so it can still hold marriages and sermons. 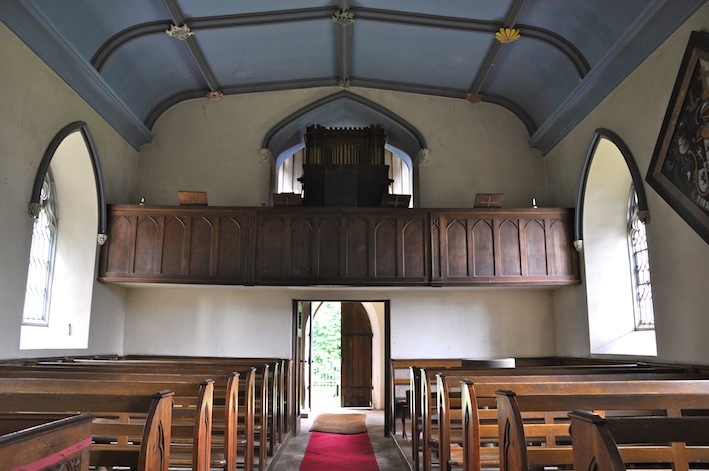 The church you enter now is the nave of the medieval church that until its first restoration in 1570s had a chancel, tower and spire, also possibly a south aisle. 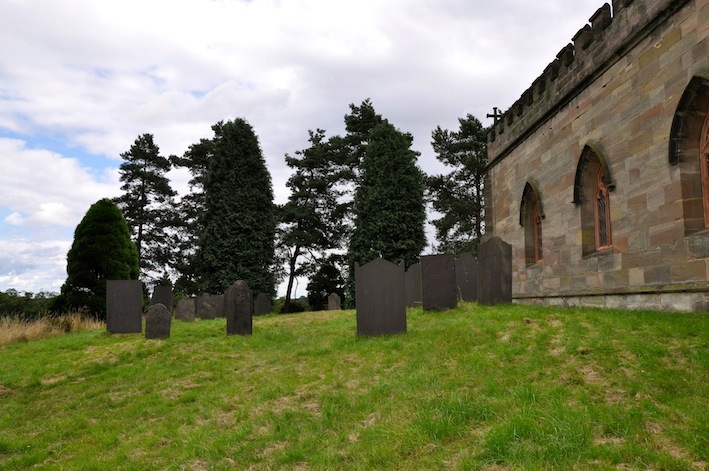 The church was reduced in size during the restoration by Roger and Richard Wensley, owners of Calke 1573 to 1585, they removed the tower, chancel and built a solid brick wall at the east end and a small wooden bell cot on top of the nave at the east end, also replace the window windows with small square ones. Only one of the three medieval bells dated late 14th century and mentioned in 1552 has survived and is now in the 19th century tower. 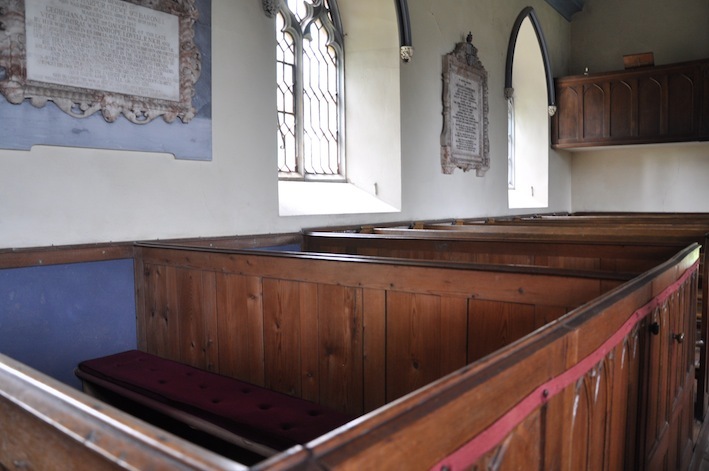 The church you see today is mostly the result of the 1827-1829 restoration by Sir George Crewe who felt that it had deteriorated to the point of being unworthy of God’s service. Sir George restored the church at a cost of £1,704, new windows, building a tower and casing the entire exterior in stone. The wooden furnishings, including the gallery, were made in the estates workshop, maybe from estate timber. 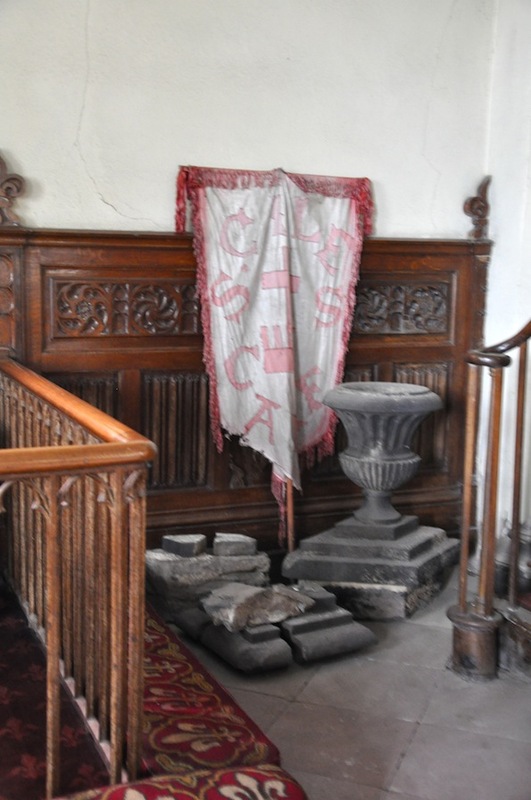 There are several monuments, but the items I found interesting are the hatchments displayed on the walls. 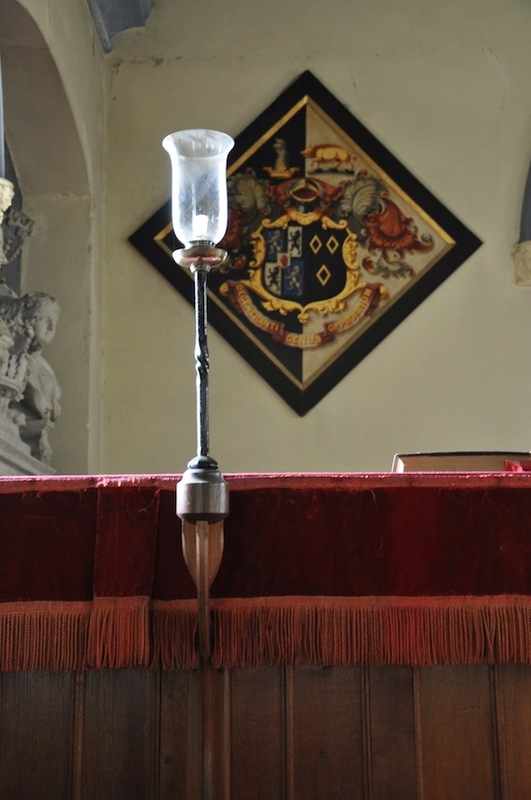 I have seem them in churches before but never really paid attention to them….to many other things to see. 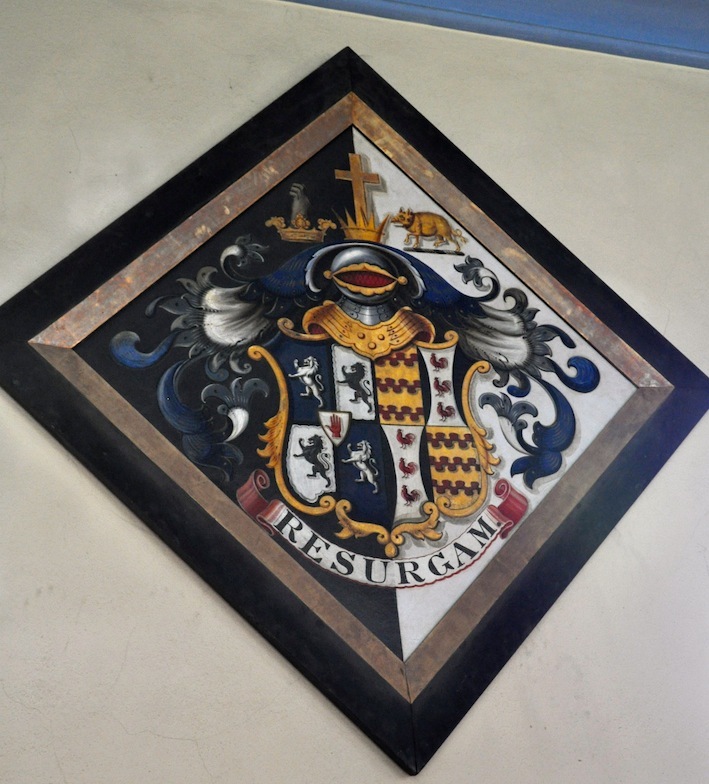 But now I understand what they are…….hatchments are heraldic devices painted on canvas and were hung outside the house for a month following the death of the owner, before being brought into the church. 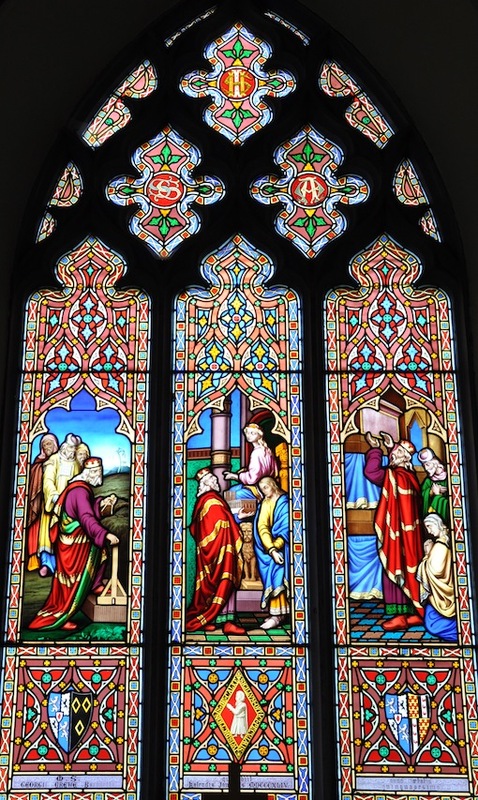 The only decorated window is the east window in memory of Sir George Crew, 8th Baronet, the restorer of the Church. There are no records relating to this window so the designer nor the maker is known, although St George died in 1844 so it could be dated a short time after this. While walking around the church and trying to take photos minus people, I did get a very sad feeling from the church or chapel as it is now and Sir George although he did his best I think a feminine touch would have help to make it a bit more attractive, it is a very muscular building. 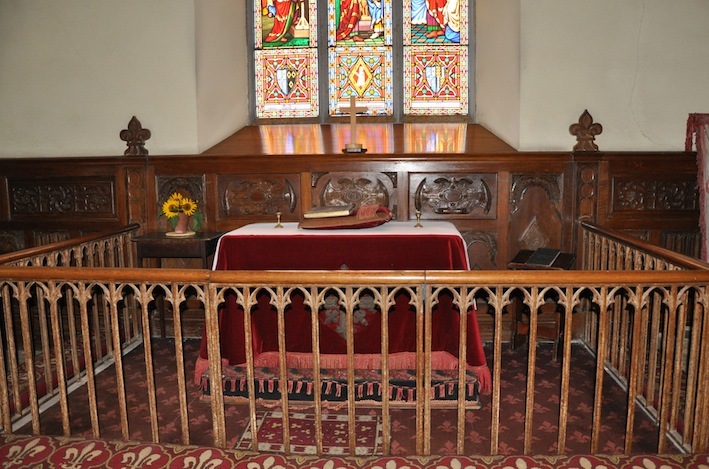 But I should not forget that if he had not restore than St Giles would more than likely now be a romantic ruin…..think I would rather have the church with all of its associated history than a ruin. If you think the font is missing you will find it on the pervious post as I like to keep of separate record of church fonts.